Organizations face a daunting array of challenges. Globalization, increased competition, rapid technological change, diverse workforces, escalating demands for productivity — for “high performance workplaces” . . . These “constant whitewater” conditions are demanding a broader and deeper range of skills from managers and leaders as well as from workers. As a result, the emphasis is shifting from developing individual knowledge and skills to implementing performance improvement strategies. This shift has redefined the role of the Human Resources Development staff. No longer is it enough to offer a menu of courses and measure success by attendance rates. Today, trainers must become performance consultants who use their expertise in a variety of ways to add value to the organization’s results. This shift requires that Human Resource Development staff learn new skills and use new tools to improve the performance of individuals, teams, Departments, business units, and the organization as a whole. This workshop is designed to prepare your staff for this broader role. This workshop enables Human Resources staff to help achieve business objectives through improving individual, group, and organizational performance. It focuses on clarifying and redefining the role of the performance consultant, and on providing the tools and skills needed to diagnose needs and implement performance improvement strategies. Why is the role of trainer changing? Why now? 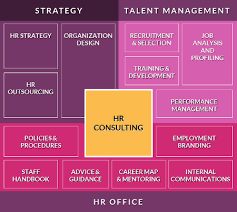 • What roles does a staff consultant play? • How can a staff consultant earn credibility?